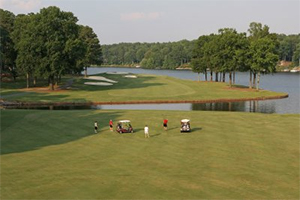 Carolina Trace Country Club boasts two 18-hole golf courses designed by famed golf course architect Robert Trent Jones, Sr. Both offer championship golf with vistas of Lake Trace and soaring Carolina pines. Carolina Trace offers all amenities of a full-service private club including golf, tennis, swimming, state of the art fitness facilities, and excellent dining – at reasonable prices.